The eastern part of Patna known as Patna city where the city originally existed before its westward growth, since ancient time carries fascinating rich history folded in the layers of time. In the vicinity lies a locality known as Sadiqpur makes every citizen of this part of the land filled with pride. 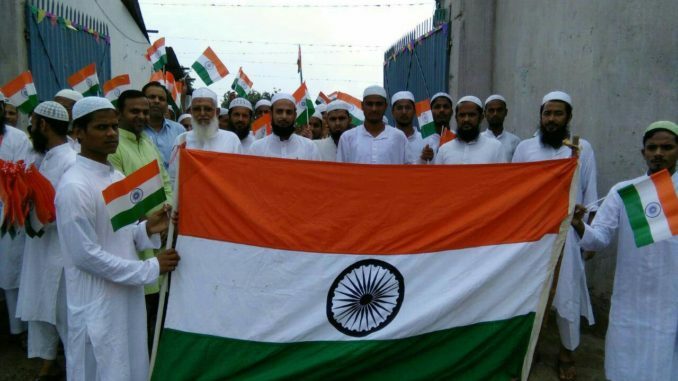 A group of the inhabitants, mostly from madarsa background, was in forefront in the 1857 revolt which is also known as first War of Independence. Such was the intensity of the resistance that it sends shivers in the rank and file of British Empire and resulted in major administrative changes. Although the movement was crushed before it could achieve its goal, the freedom, yet it had certainly marked the beginning of decline of British Empire in India. Many Sadiqpur freedom fighters were either hanged or were exiled to Andaman Island, which was notorious at that time as ‘KALAPANI’. Still, among the narrow lane of Patna city prevailed dilapidated monuments, ancient age temples,18th century churches, 19th century Gurdwara and old age spiritual seminaries—khanqah. Coming from these glorious legacies, the tradition of hoisting flag and grand celebration have always found great importance on the Independence Day here. Today also Madarasa located in the region celebrated the Day with much fervor and enthusiasm. One of the well known seminaries, khanqah e Munimiyah has come to ages and has become an important socio-religious Institution which along with social services runs educational program through its madarasa. 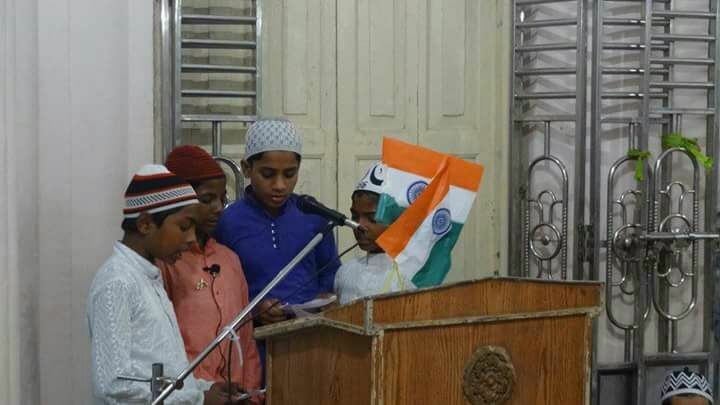 The madarasa absorbed a grand celebration on the occasion of seventy first Independence Day. Besides khanqah-e- Munimiyah, there are many other old age khanqah which do run madarasa. Khanqah Emadia is major among them. Situated beside the ‘mangal talab’ the khanqah celebrated the ‘I’ Day this year like every other year amid the splashes of rain. 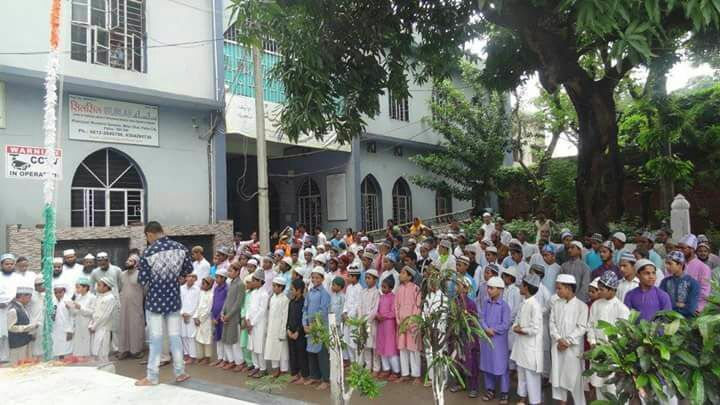 In the Far East, a large madarasa with the name ‘Jamia Madania Sabalpur’ is located. In this residential institute around 1000 students are getting religious as well as modern education. 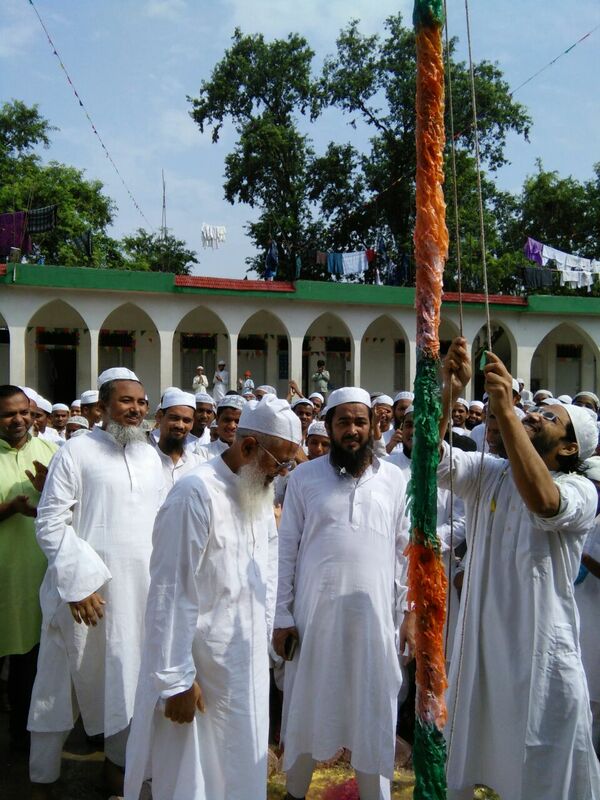 Today, the madarasa was overwhelmed with the tricolor; students and teachers all were seen holding the National flag. Like every year, Edara Sharia, one of the major religious organisations of Bihar also celebrated the national festival with great delight. The students sang many patriotic songs to elevate the mood and cherish the freedom. 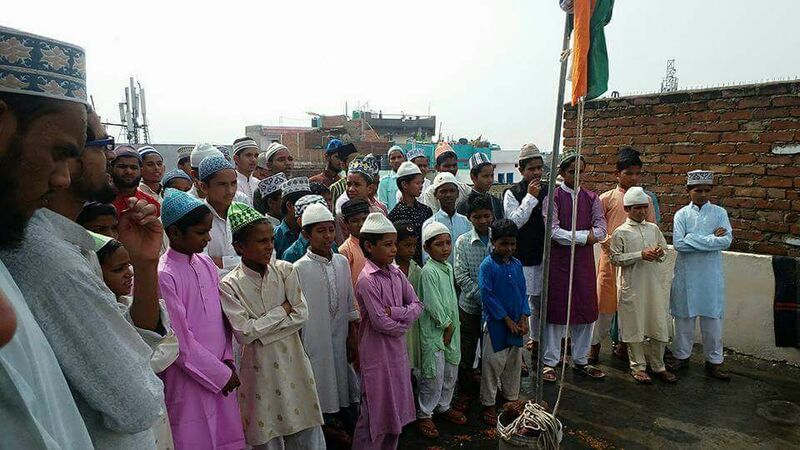 “We have been hoisting the tricolour and singing national song since the foundation of this madarasa”, said Qari Munsif, manager of Darul Uloom Mujibia, a madarsa run by Khanquah Mujibia, Phulwari Sharif, 6 kilometers west to state capital of Bihar.